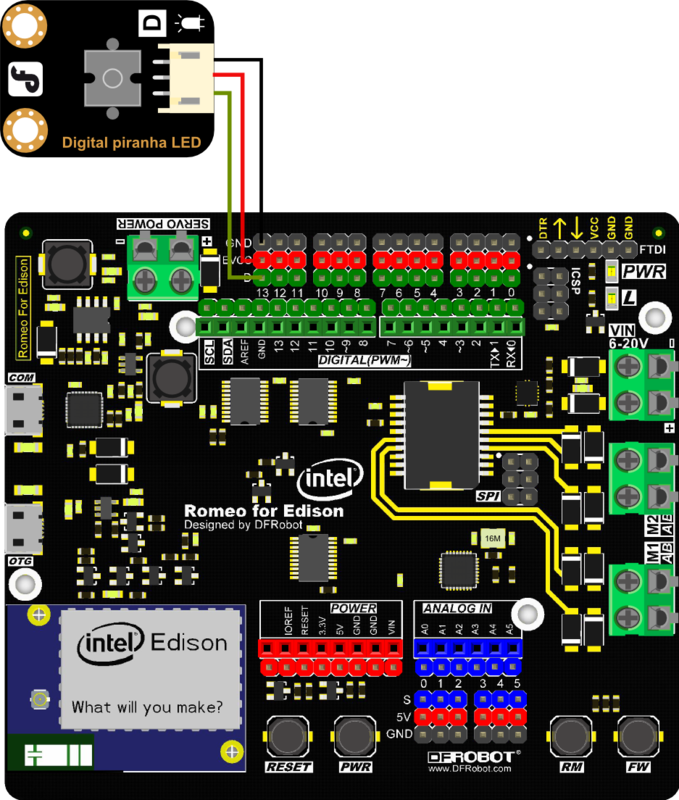 Romeo for Intel Edison is a multi-purpose, all-in-one development platform based on Intel Edison and Arduino SoC. It is especially designed to be useful for robotics applications. 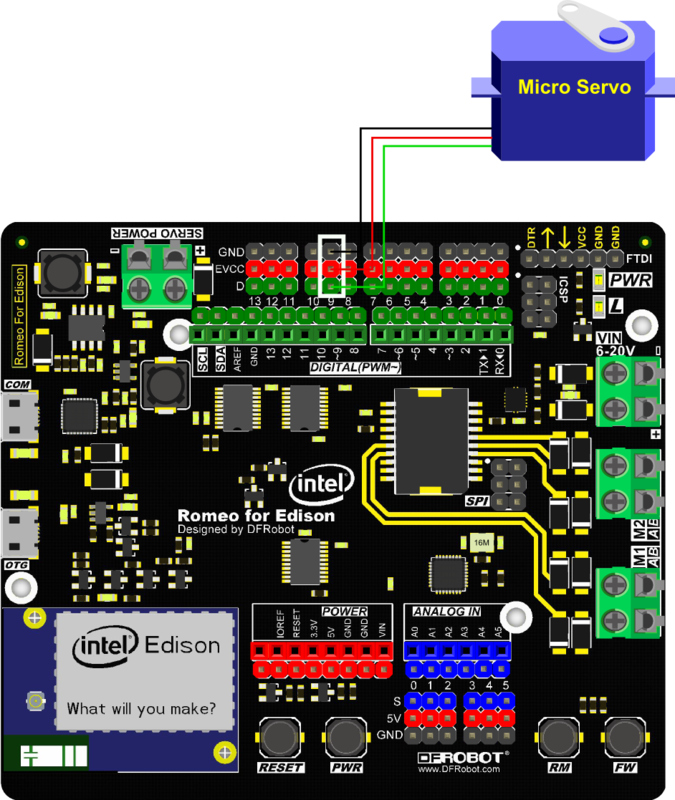 Romeo for Intel Edison is compatible with Arduino open source platform and Linux, and supports Java and C development environment. 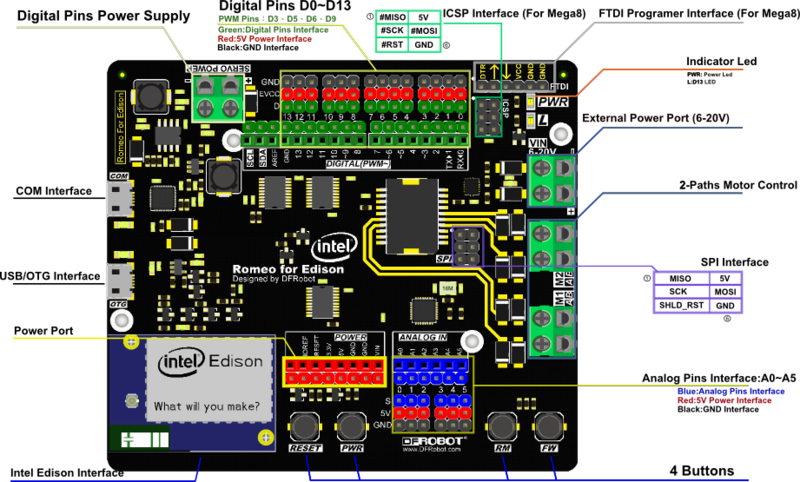 Users are able to extend this platform with thousands of existing shields and modules such as switches, sensors, LEDs, servos, motors easily with Romeo for Intel Edison. It can also be used as a standalone communication platform for software like flash, processing, Max/MSP and VVVV. The integrated 2 way DC motor driver and wireless capability allows you to start your project immediately without the need of any additional motor driver or wireless shield. 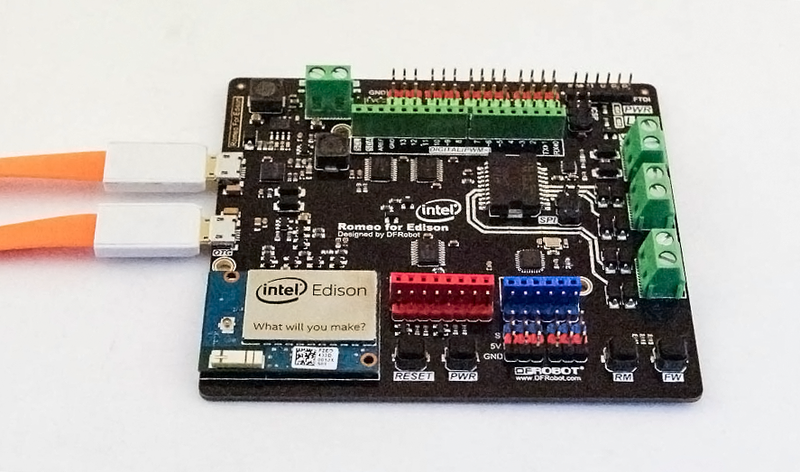 The Romeo for Intel Edison inherits all functions of the Romeo all-in-one controller by integrating powerful functions the Intel Edison board possesses. 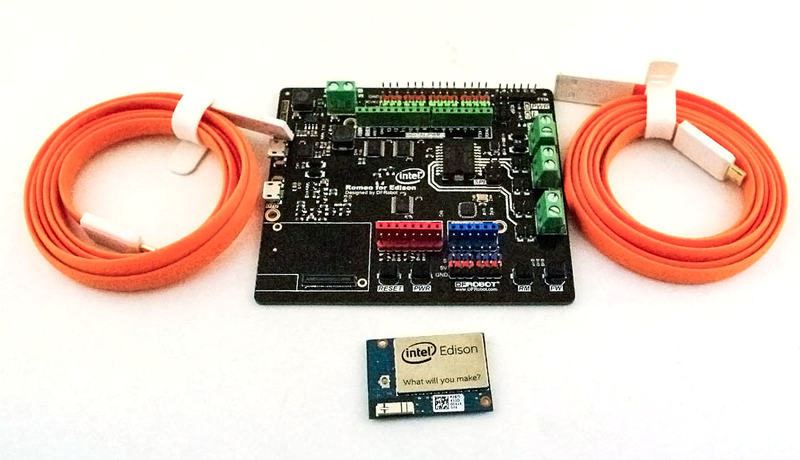 You can describe it as a control board specially designed for robotics applications, carrying the powerful gene of Intel Edison and being compatible with Arduino. 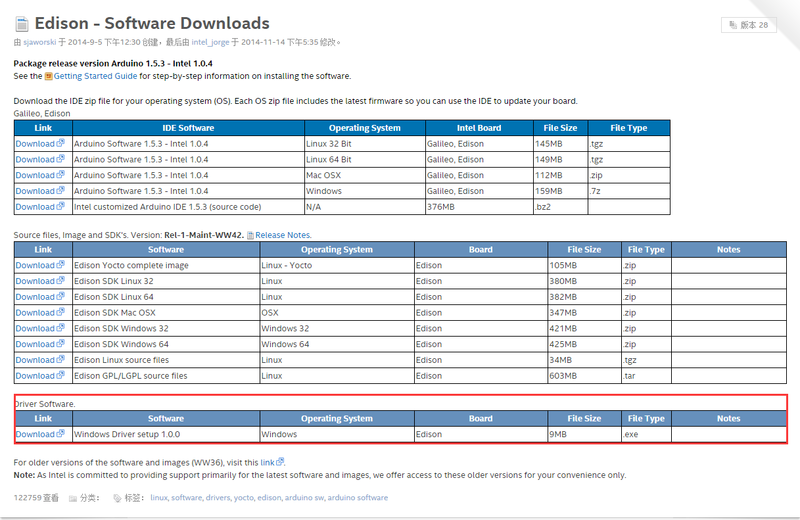 NOTE: According to the Arduino IDE version update and Intel update, the wiki might be out of date, you could visit FAQ for proper solution. NOTE: Only PWM interface could control the Servo. 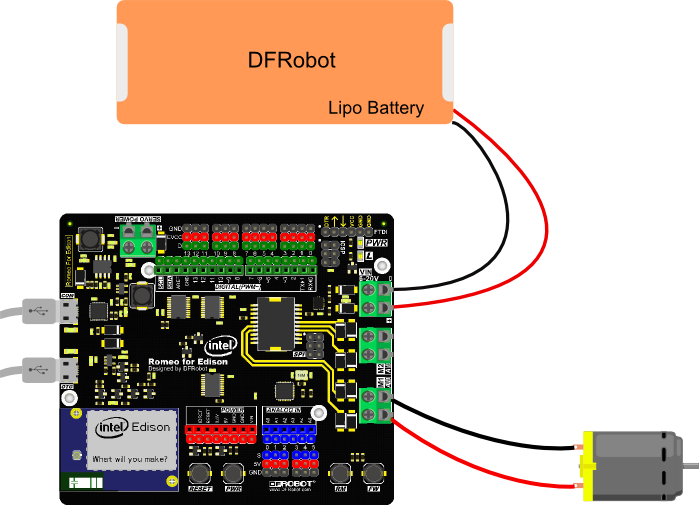 Sample code: Open Arduino IDE, Select Boards -->Intel Edison and COM port In this section, please down load the DFRobot_Edison library V1.1 first. NOTE: The liberaries are still improving;in the event of any divergence between the wiki code and the example in the liberaries ,the liberaries version shall prevail. 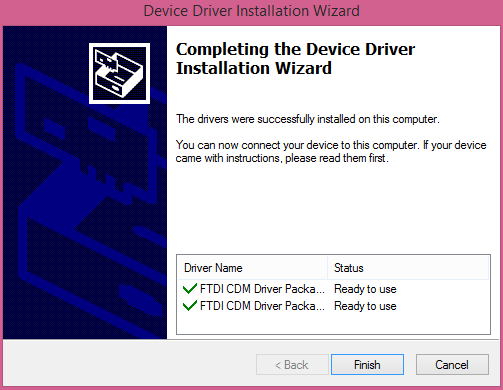 NOTE: As Romeo for Edison is using Atmel mega 8 as Analog pins driver. Please download the IIC libary first. The library is keeping update, so some sample code and picture will be different to the old one. 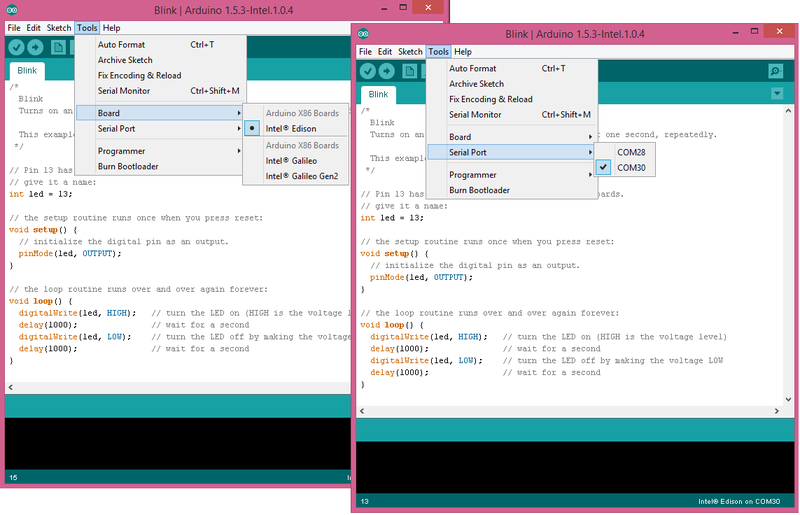 Q1 No Arduino for Edison IDE download link could be found from the link you give, i.e.Intel ... Downloads, and after I finished installing all software, I got newest Arduino IDE 1.6, and there is no place for me to choose Intel to upload Blink.ino, what should I do? 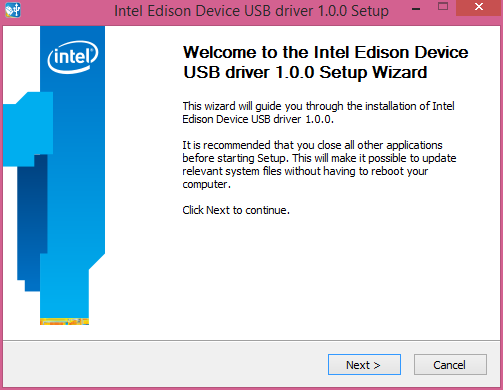 A1 Welcome！ You can go to Tools > Board > Boards Manager..., and find Intel i686 Edison, click Install to make it. After you install the needed files, you could see Intel choice. 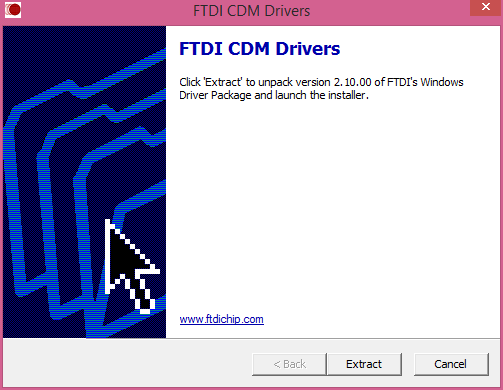 Q2 Win XP/ Win 7 incompatible issue. 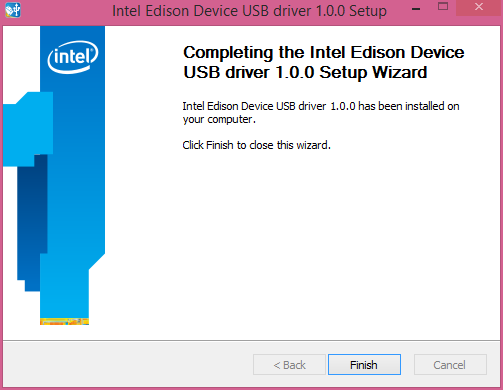 A2 Interl Edison has a compatible issue on Win 7/Win XP, please upgrade your Operating System to Win 8/10. Q3 My motors lose control/ Analog reading error/ TWI(IIC) communication not good. 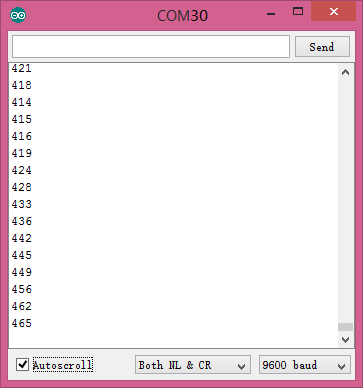 A3 It is for the TWI(IIC) issue, please upgrade Atmega8 firmware to the newest version, and use the corresponding newest library. 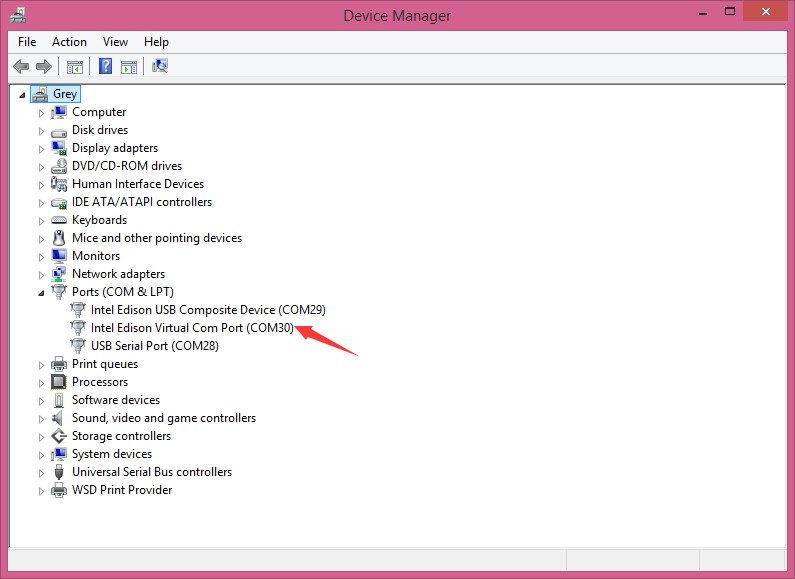 Q4 I can't debug via COM port without OTG plugged. 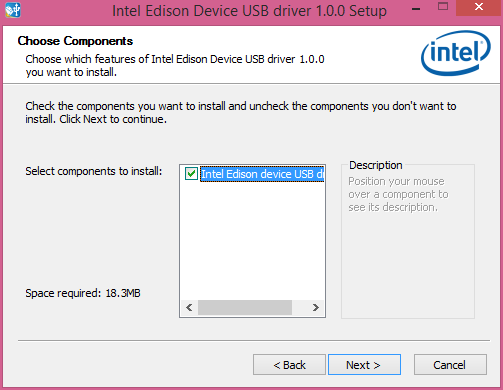 A4 Internal Edison will detect the value of "VBUS" pin, and it doesn't permit debugging while "VBUS" is LOW. It means you need connect a OTG cable to OTG port. (It doesn't need to connect anything to OTG cable), when you want to debug Edison via the COM port. 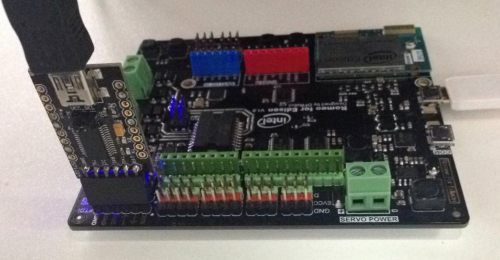 Q5 I'm using Intel XDK to develope your Romeo board rev 1.0. 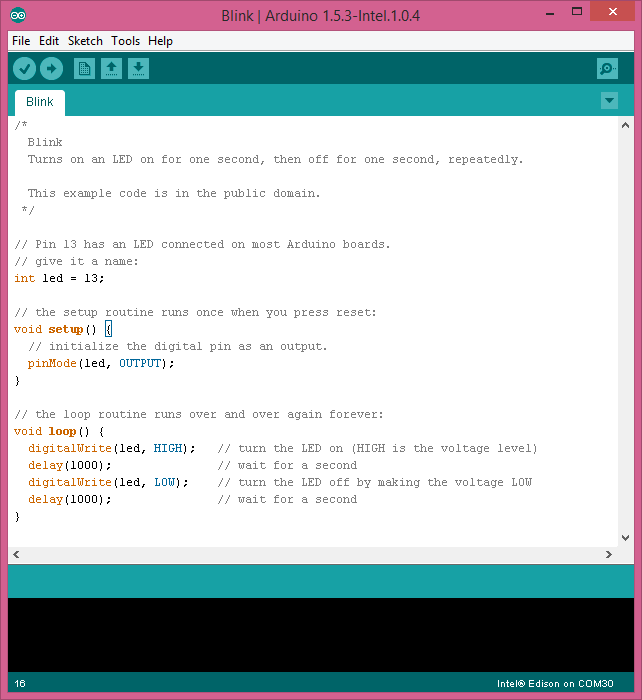 I have the code from the example library and work perfectly with Intel Edison Breakout Kit (Groove kit) board, but when I run it on Romeo board it’s fire error. I checked all the ports and they are mixed. Do you have the table where is the ports? A5 The pin-mapping is different from Eclipse/Intel XDK and Arduino IDE. And you can leave out the mapping problem, just use the lable D0-D13,A0-A5 on Romeo for Edison, and use Arduino IDE to develope your program according to our wiki. 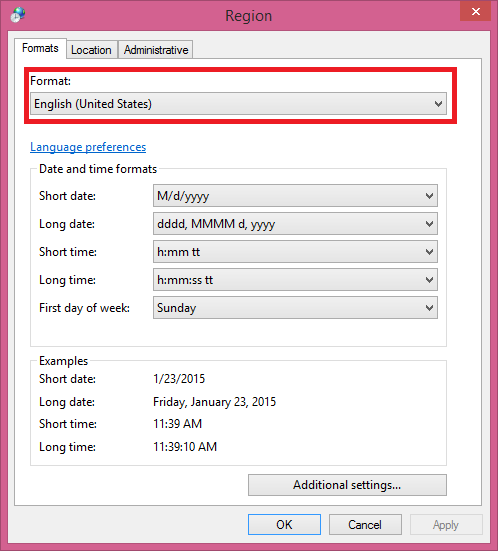 If you do need the mapping table for Intel XDK/ Eclipse development, please contact Intel official site for help. Thanks for your understanding! 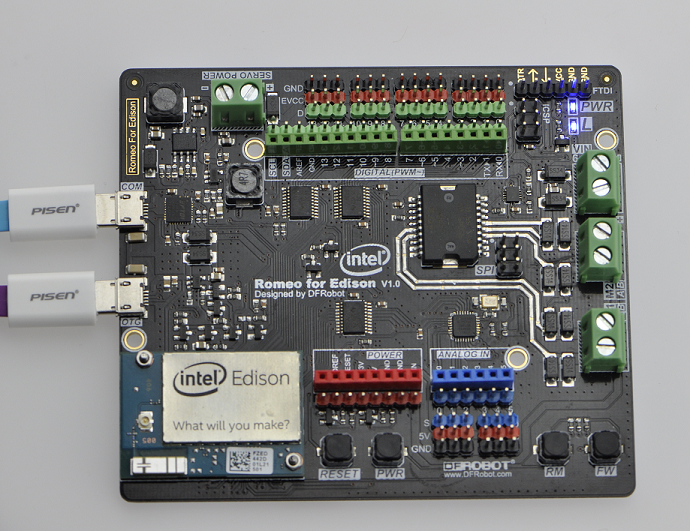 Get Romeo for Edison Controller SKU:DFR0350 from DFRobot Store or DFRobot Distributor.